Taipei, Taiwan, Nov 10th 2017, Advantech (TWSE:2395) today introduced the MIC-8304S, a new cloud controller blade for its Packetarium XLc high density edge computing platform enabling faster storage for next generation, low-latency edge applications. The enhanced platform offers a compact, rugged and reliable solution for fast and secure IoT data collection coupled with edge analytics in private cloud networks such as industrial plants, airports, and large vessel, freight or cargo centers. Based on open standard x86 server-class compute, the platform can onboard virtualized software defined radio solutions for cost-effective connectivity to remote LTE and small cell radio heads, simplifying the deployment of Private-LTE and NB-IOT infrastructure and positioning the platform as a key pre-5G applications enabler with low-latency response times at the network edge. Equipped with new data center-class compute and storage capabilities, the Packetarium XLc meets the needs of ETSI-defined Multi-access Edge Computing (MEC) use cases, and can serve as a micro data center or cloudlet. Packetarium XLc servers are ideally suited for the centralization of virtualized eNodeB functions in a Mobile Network Operator’s Cloud RAN, and are capable of serving over 36 macro cells or 108 remote radio heads, with sufficient headroom to run a virtual EPC and MEC applications. With the continuous upsurge in content-centric communications, the platform’s higher capacity edge server caching capability can also help solve network traffic variability challenges related to content sharing and video streaming during peak hours, thereby reducing the costs of backhauling popular content and delivering a better experience to mobile users. The MIC-8304S is architected around an Intel® Xeon® Processor D-1500, offering server class compute and up to 23.8TB of storage. The blade leverages the advantages of up to six data center-class Intel® SSD DC S4500 series drives based on TLC Intel® 3D NAND Technology. “The high-performance, low power consumption compute capabilities of the Packetarium XLc, coupled with a huge boost in storage capacity provides a whole new set of resources that Edge Cloud application developers can leverage.” Said Ben Shen, Director Network Infrastructure Division at Advantech Networks & Communications Group. “For both mobile network and edge cloud operators alike, this not only translates into significant Capex and OpEx savings, but also helps accelerate deployment”. The Packetarium XLc is a fully carrier-grade blade server designed for the virtual network infrastructure (NFVI). 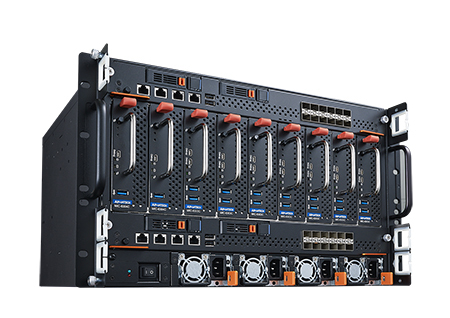 It combines high-end networking with IT design principles to accommodate the maximum density of compute available in a compact 400mm deep 6U chassis, yet meet demanding industry standards with NEBS-3 compliance. The Packetarium XLc is the first telco-grade server of its class to bring Virtual Network Functions out to the edge of the network enabling applications such as Multi-access Edge Computing and Cloud RAN, preparing the way to 5G. 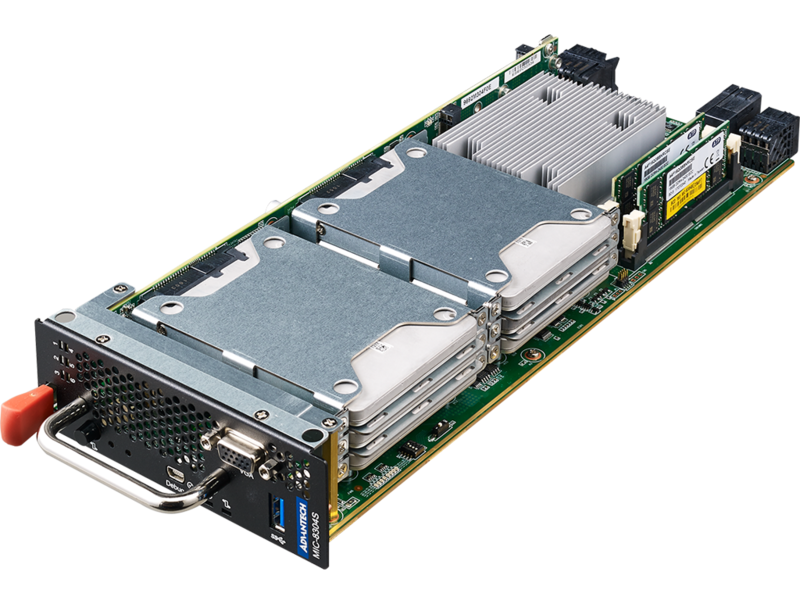 Its scale-out design hosts up to 9 Intel® Xeon® Processor E5 or Intel® Xeon® Processor D-1500-based blades for demanding NFV workloads. The system’s 400W per RU power footprint fits industry standard 19”racks and lowers total cost of ownership in more efficient network deployments. The Packetarium XLc seamlessly integrates with industry standard software frameworks to accelerate the roll-out of next-generation software defined infrastructure solutions.